Something I haven't done in a little while, yesterdays card set me off on the lemon theme I think. My Mam when I was at home baked the most amazing goodies from home made bread to the finest cakes I've ever had and her lemon drizzle cake was just to die for. I set to baking this for work thinking that it would go down very nicely with our 11 o'clock cuppa, unfortunately whilst I was cutting it up and packaging it a piece just fell in my mouth (funny how that happens) well I can even begin to tell you just how mouth watering delicious it is. 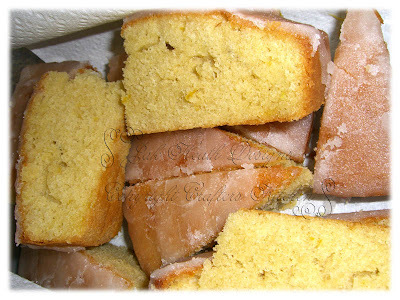 That looks delicious, I love lemon cake but dont have a good recipe for it, any chance on adding the recipe, PLeeessee!!!!! That does look delicious Jak! Joining the queue for the recipe! Looks yummy... im 4th in line for the recipe please. looks yummy jak i would change the flavouring though as i detest lemon. i made made melting moments with my daughter last week to take to school for a indoor picnic, teachers ate them all and are asking for the recipe, it was great fun getting sticky gooey hands lol, wasnt so much fun cleaning up though. love anything lemony.I would like your recipe pleeeese Jak.